The introduction of co-streaming allows anyone to partake in the G League. Whether esports and sports are comparable has been a debate for years now, but on Twitch it doesn’t matter. Starting today, there’s a professional sport returning to the platform after a recent partnership renewal with the NBA. The G League is the official minor league system for the NBA. A year ago, Twitch began streaming the games for viewers to watch online. Additionally, Twitch partners and affiliates were permitted to broadcast games on their channels with their own commentary. 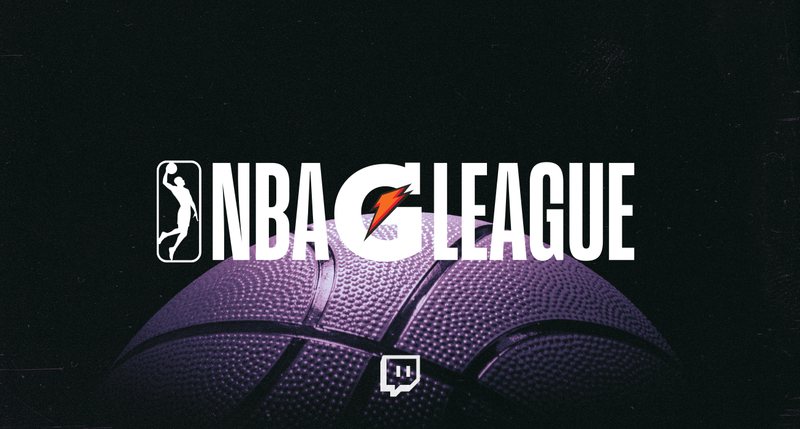 Now, with a new partnership deal, Twitch has introduced a co-stream mechanic with G League games that everyone can take part in. With co-streaming, individual channels are able to broadcast G League streams to their own communities with their commentary. Last year, not everyone was permitted to co-stream G League games; this year it’s changed. Now every streamer is allowed to co-stream any G League game on Twitch. The G League will have its own section on Twitch and will broadcast games through the rest of the season up to March 23. In addition to co-streaming games, the NBA G League Extension has returned as well. The extension has many of the same features as last year, with some additional improvements. During games, it will let you view stats and earn points. These points are earned by watching games and predicting which athletes will out-perform in their respective games. With these points, users can spend them to represent favorite streamers on a designated leaderboard. Finally, users can vote for the ‘Twitch MVP’ of the game with the extension. Once an MVP has been chosen, they will be interviewed after the game.